In the previous tutorial, I introduced you all about Constructor Injection in Spring. 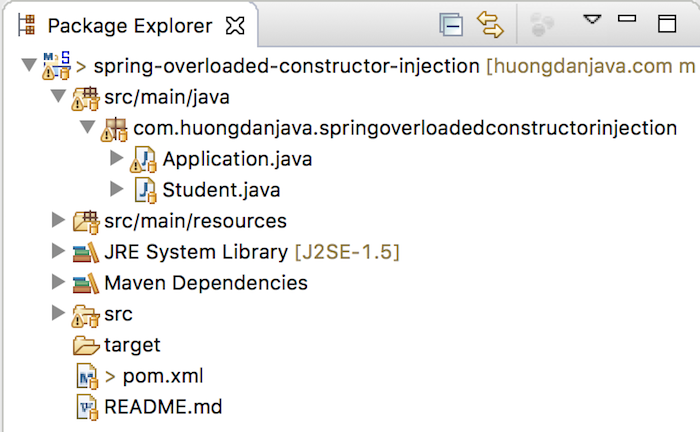 But because we can have overloaded constructors in Java, so in this tutorial, will show you all how we can declare those overloaded constructors in Spring container. As you see, the Student object has 3 constructors, 2 of them is overloaded constructors. Now, we will consider each case! With overloaded constructors, we need to specify the data type for each argument in the constructor. to initial Student object because the data type of name variable is String. XML based configuration …. yuk!